This event has been one of the highlights of the CHB sporting calendar for more than 30 years. The Half Marathon starts and finishes at the Waipukurau Racecourse. This picturesque venue is able to accommodate ample off-street parking and has picnic areas and facilities. 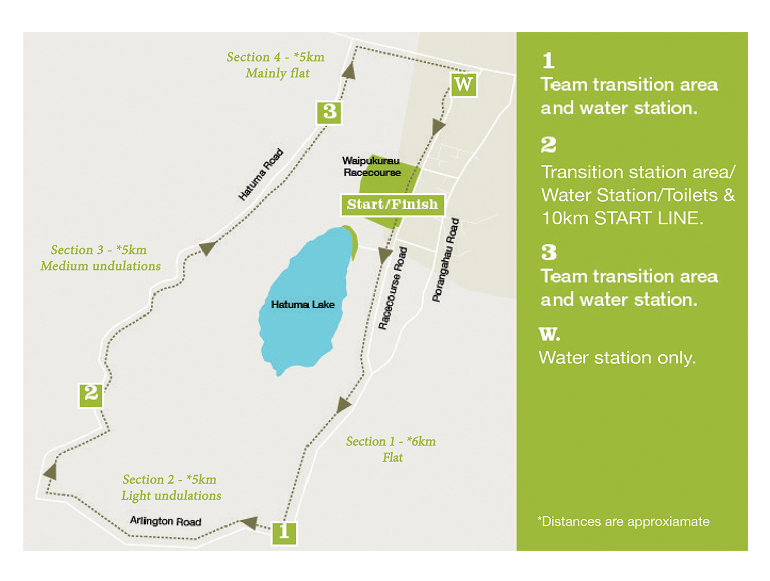 The course takes in the entire circumference of Lake Hatuma, going in a clockwise direction. This mostly flat course, with a 5km stretch of undulations, provides for a very pleasant and scenic event that continues to attract both local and outside participants. 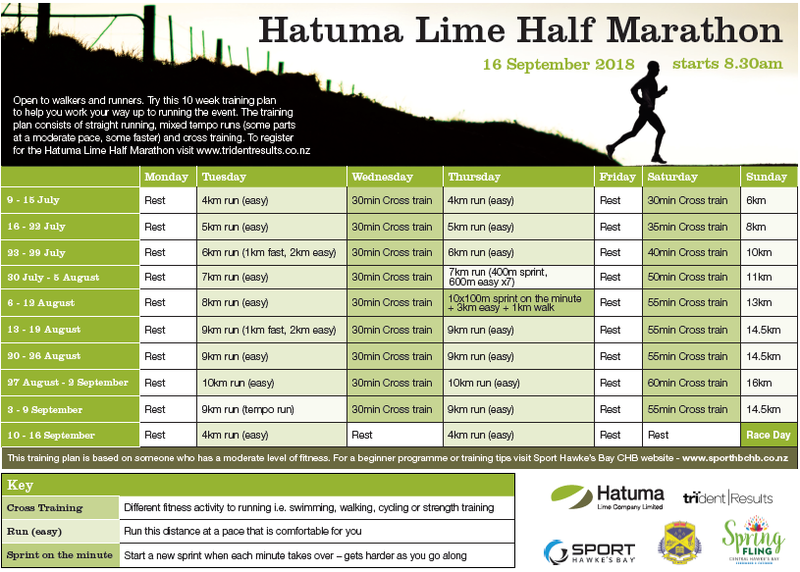 FIRST 100 ENTRIES are eligible to receive a FREE Hatuma Lime Half Marathon Event TEE. Prizegiving will be held at approximately 12.30pm. Participants must be present to claim their prize. Food and refreshments will be available to purchase from various stalls throughout the day which include barista coffee, bbq and sweet treats. No dogs or other animals allowed at the event venue or out on the course with participants during the event.